Our Sea Ranch Escape made another appearance in Dwell, this time as part of a brief history of Sea Ranch and its architecture and design legacy. It’s the only house featured in the article not designed by Charles Moore or William Turnbull, but its spirit is quintessentially Sea Ranch — one with its surroundings, contemplative, natural. The four-year-long renovation was driven by our desire not to mimic the Sea Ranch model completely, but rather to carry it forward into the twenty-first century, creating a design that reflects the contemporary interpretation of a mid-century architectural philosophy. 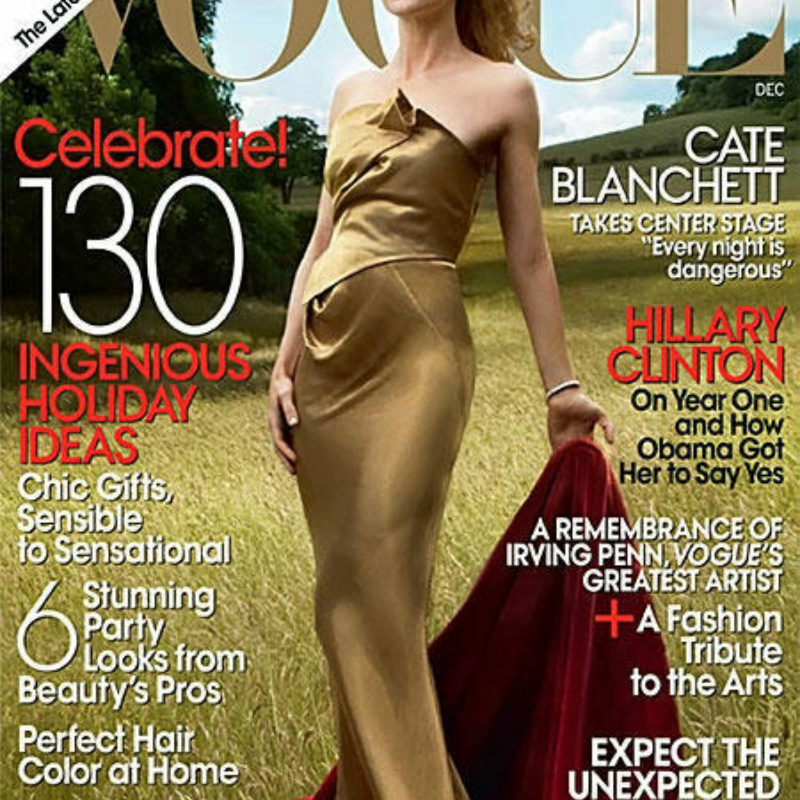 So thrilled to see that Vogue Magazine featured our Wurster Revival project! Such a wonderful and unexpected nod from April Gargiulo, founder of Vintner's Daughter, who spoke about her dedication to raw, whole materials, a philosophy that her William Wurster home, completely renovated by Lewis Butler through a clean and contemporary approach that saved only the original hardware, fully embodies. Read the whole article here. 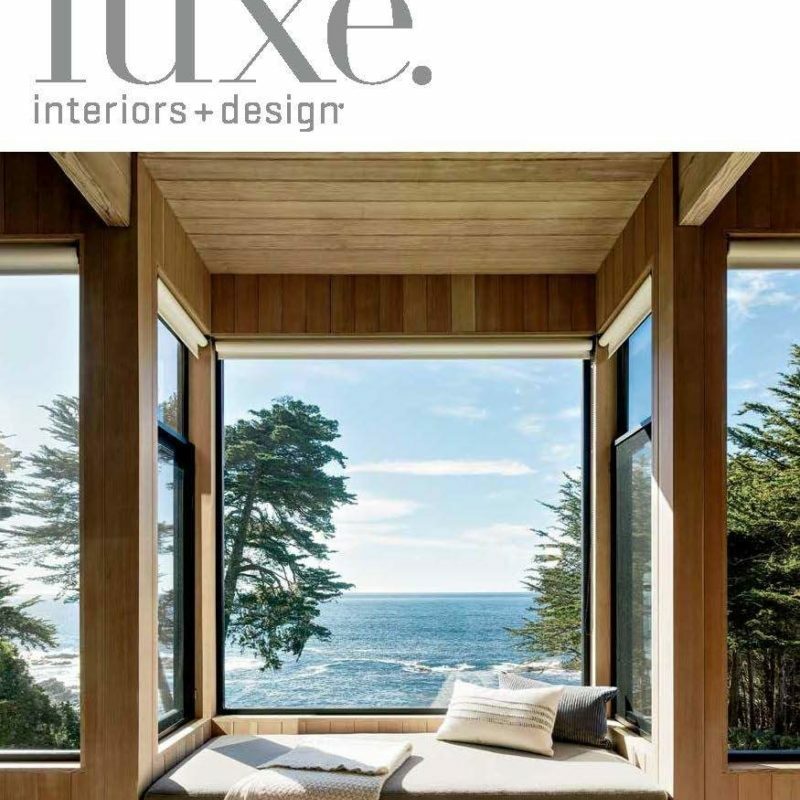 Brilliant architecture and design writer Laura Mauk describes our Sea Ranch project, photographed for LUXE by Joe Fletcher, as "a house that honors its history and the dramatic landscape that surrounds it." We loved working on this renovation of a 1974 Matheson original, also renovated in the 1990's by Turnbull, bringing the local emphasis on textured siding and clean articulations into modern view. Lewis Butler, working with Reba Jones, created a courtyard shape by introducing a new building whose shape and siding are inspired by what Mauk calls the "historically agrarian vernacular." Major emphasis was given on creating sweeping open views, and almost all the windows face towards the majestic grey Pacific. 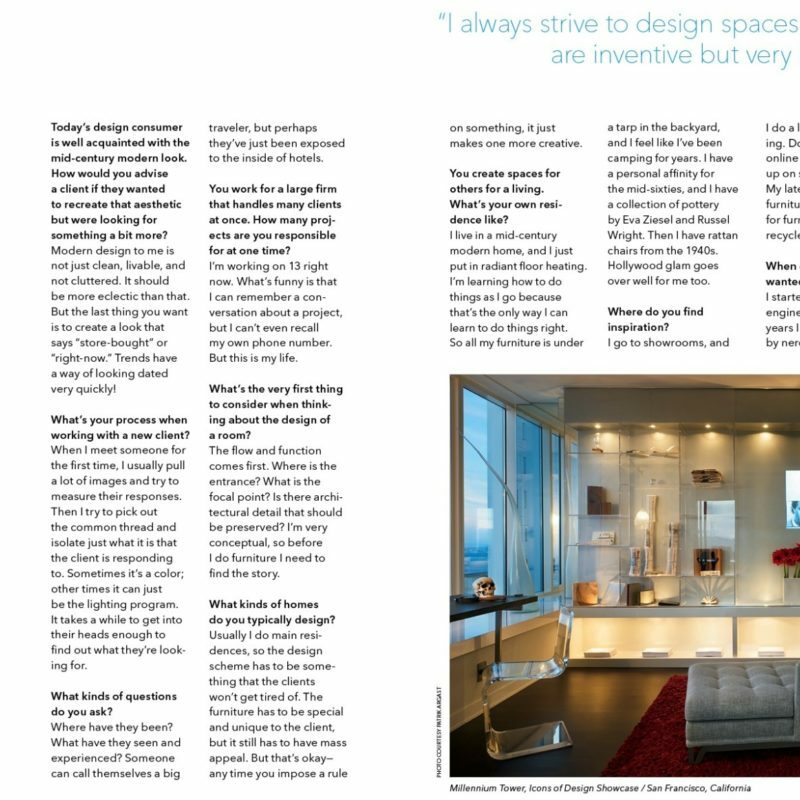 Read more in the current issue of LUXE, available on stands now - or online here. 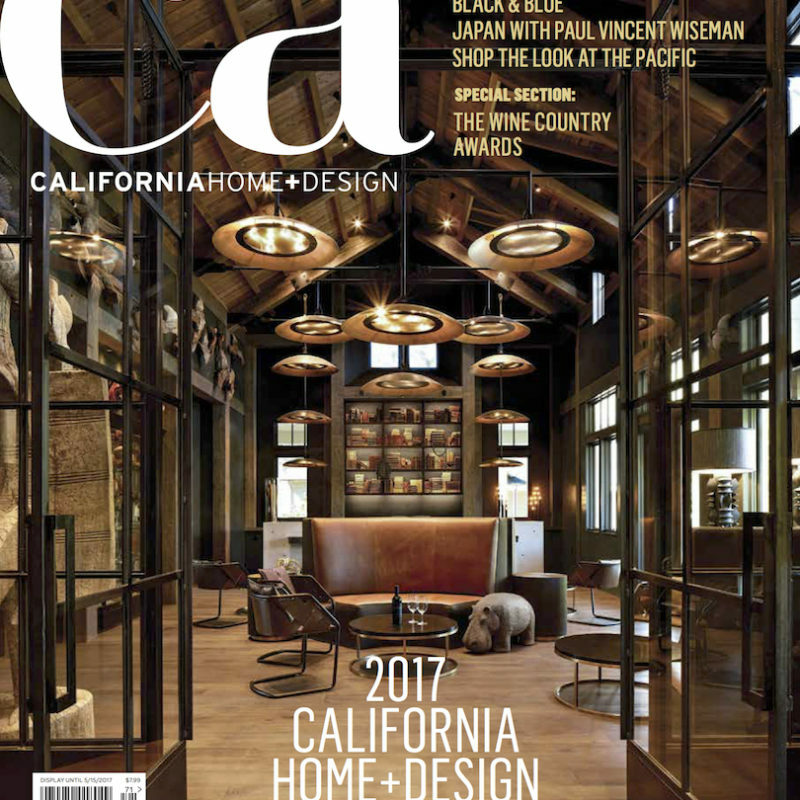 We're thrilled to be featured in this detailed and playful story by writer Mary Jo Bowling in the Winter 2017 issue of California Home + Design. "After three times at bat," Bowling says we nailed this project, our third for this storied Victorian. We're in love with the photography, by Patrik Argast, and the text - which describes us as setting out to "rewrite history as well as a new chapter for the home.” The article talks about the way Butler, working with lead architect Dave Sturm, smashed two worlds together in a collision of color, child-friendly scale, and textured sophistication. Pick up a copy on stands, or click here to read online. 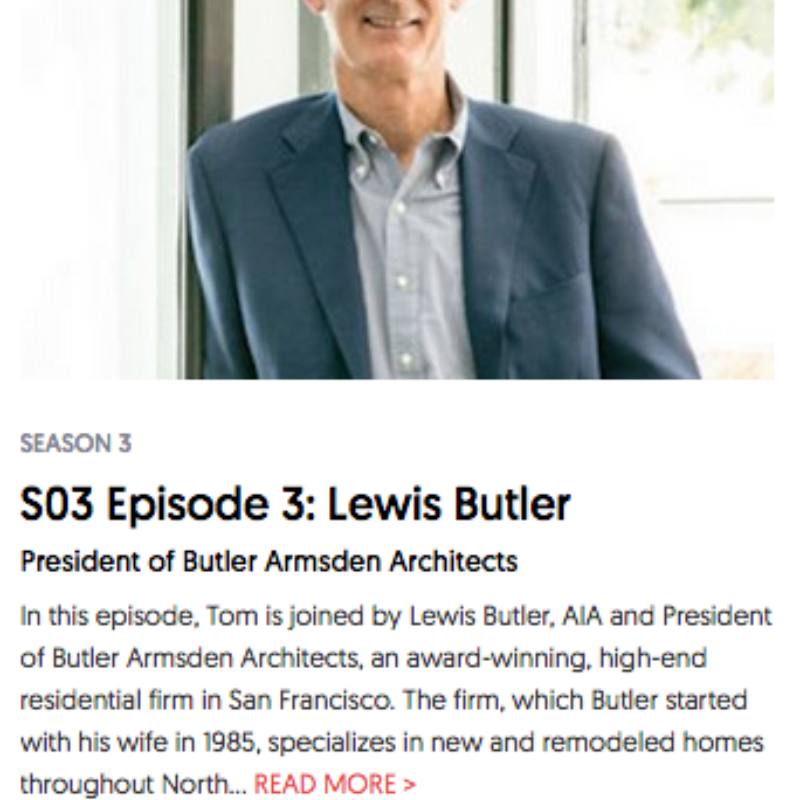 KZSU Stanford 90.1 recently interviewed Lewis for the Modern Architect Podcast by Modlar. 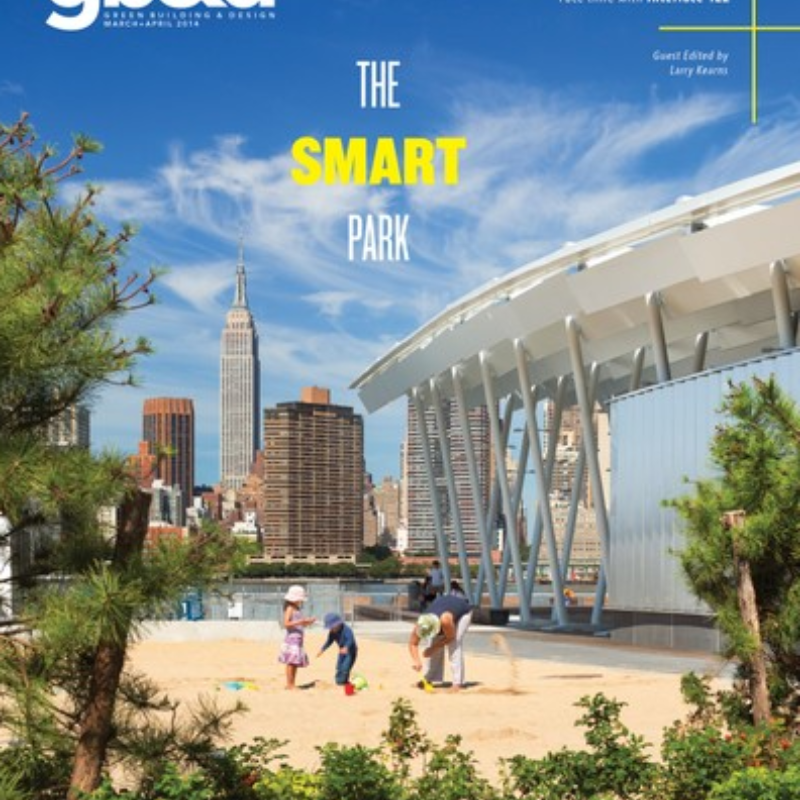 It features a new interview every week with renowned architects, influential industry veterans, and thought leaders who are helping shape design. Listen to the full interview here. 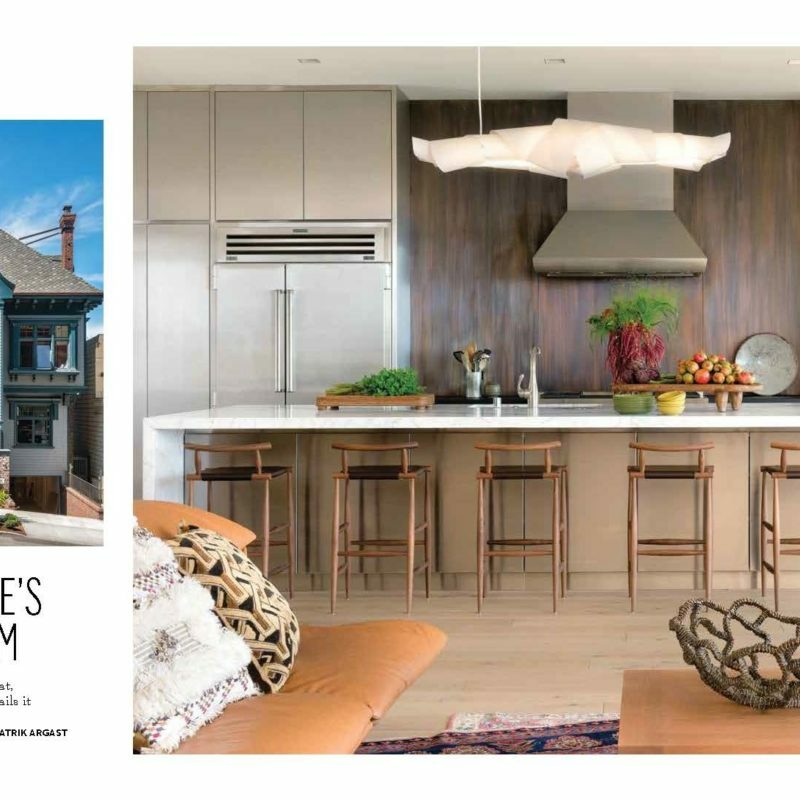 Our City Seaside Home, led by Senior Associate Dave Sturm, was recently featured in the July/August issue of Luxe Magazine. For this 1924 Mediterranean revival style remodel, we created a home in the city that feels like a beach getaway, blurring the distinction between work and vacation, town and country, and bundling them all into one relaxed residence. 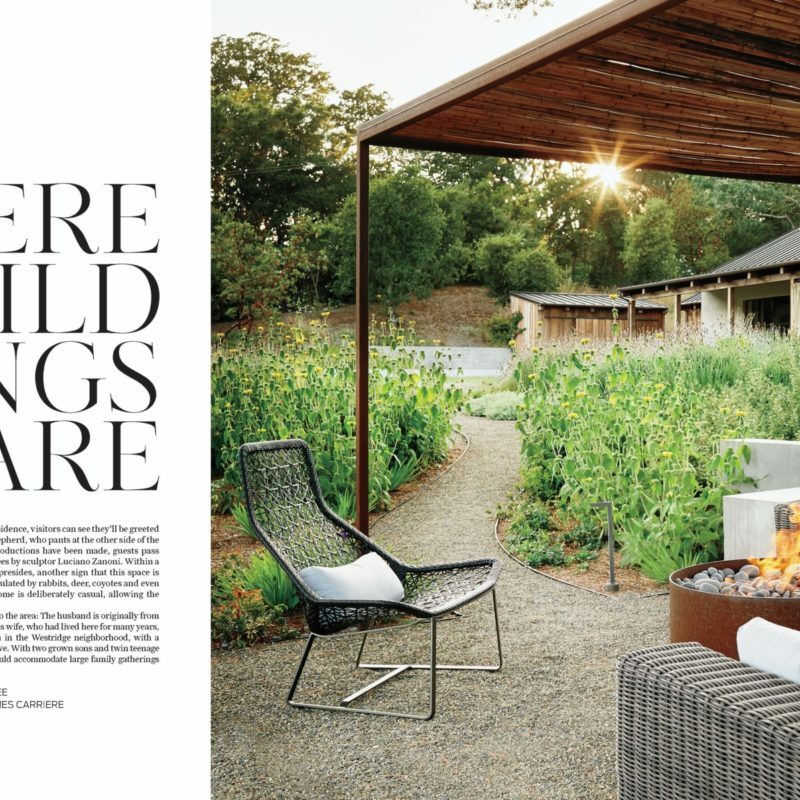 Our Portola Valley project, led by Associate Principal Glenda Flaim, was recently featured in Habitat Magazine. This courtyard house references early California architecture as well as the clean lines and modern amenities of 21st century design. Read the entire article here, by Lydia Lee. We are honored to have received a 2017 California Home + Design Award for Residential Architecture for our Valley of the Moon Retreat. This is the second award for the LEED Silver vacation home in Sonoma County. 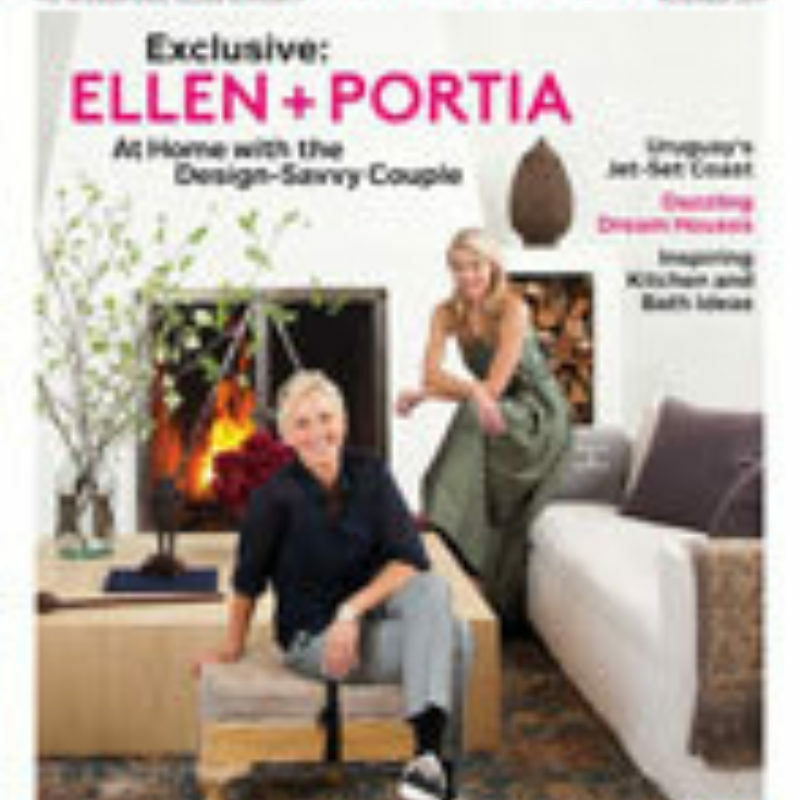 Our Platinum on the Peninsula project was recently spotlighted by Dwell. Read the entire article here. Butler Armsden for Ronald McDonald House @ Stanford - Unveiled! San Francisco Cottages & Gardens has an exclusive first look at the newly completed Ronald McDonald House at Stanford. Butler Armsden's Reba Jones, Senior Associate, lead a talented in-house design team and collaborated with Clayton Timbrell & Company, Inc. for the build-out of new Youth, Toddler and Meeting Rooms. We were also fortunate to have the support of many donors and vendors in our wonderful design community. Thanks to everyone who helped us in the "Where Hope Has a Home" campaign for Ronald McDonald House at Stanford! 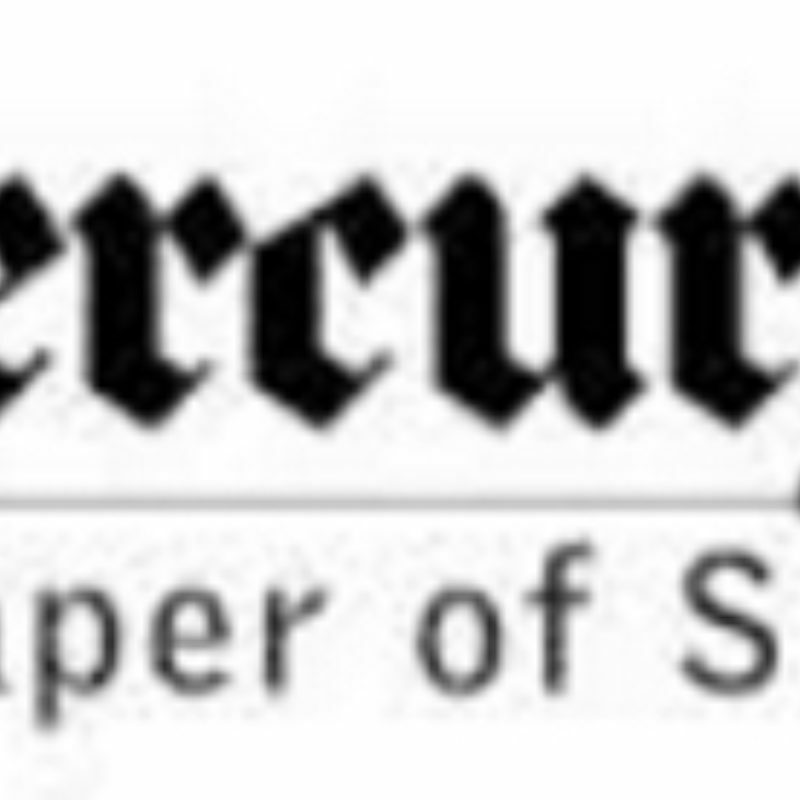 Thanks to the San Jose Mercury News and Lou Fancher for an engaging review of Dream House, and interview with its author, our very own Catherine Armsden. Fancher writes "[the novel] speaks volumes about family history and how it is shaped by place, space and physical circumstances." The interview delves into some of the family history that inspired parts of the book, including the uncovering of important historical papers that were once in George Washington's possession. Read the entire fascinating article here. 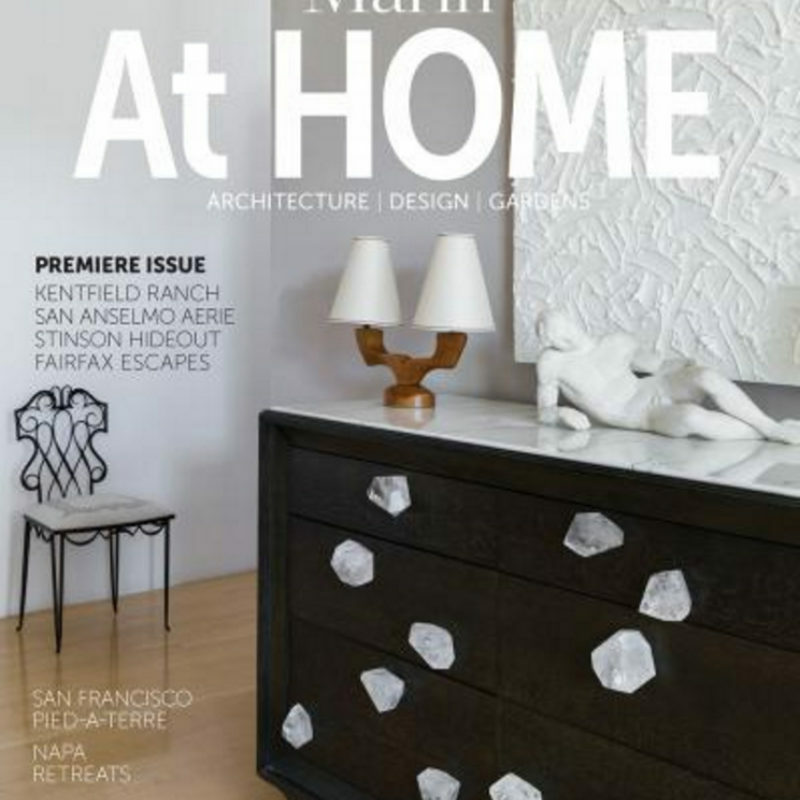 We were honored to be included in the innagural issue of Marin At Home. 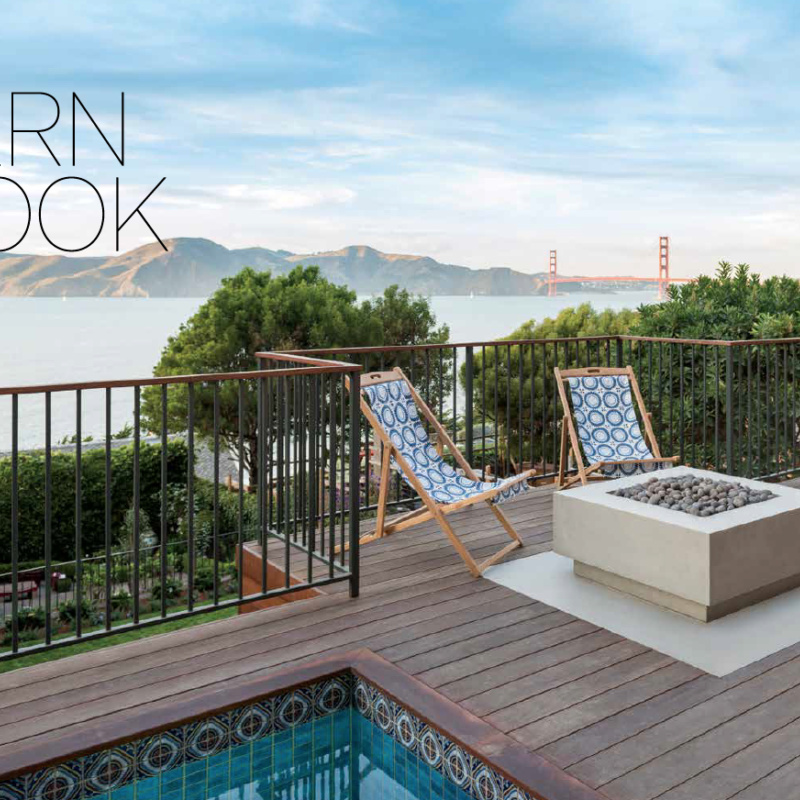 This new publication, under the editorial direction of the talented Zahid Sardar, features an interview with Lewis on the topic of one of our favorite Marin homes, BAA's Stinson Beach House. 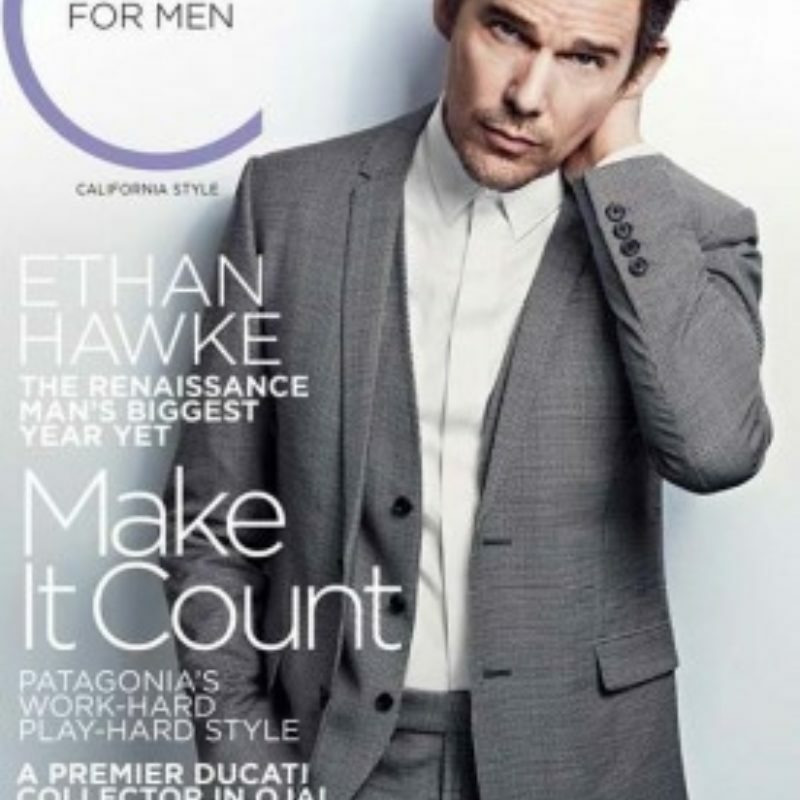 In its Spring 2015 Men's Issue, C Magazine connects with our own Lewis Butler for a tour and backstory on the Stinson Beach House. The timing couldn’t be more perfect, as the house and Butler Armsden Architects are both celebrating their 30th year in 2015! Butler Armsden revamped this four-story Italianate-style home in Pacific Heights for longtime clients. An exercise in architectural subtlety and clever space planning, much of the work was made to look as though it were original to the home. In addition to the architectural improvements, Butler Armsden was also responsible for the interiors and landscape design for both the private front patio entrance and the rear parterre garden. 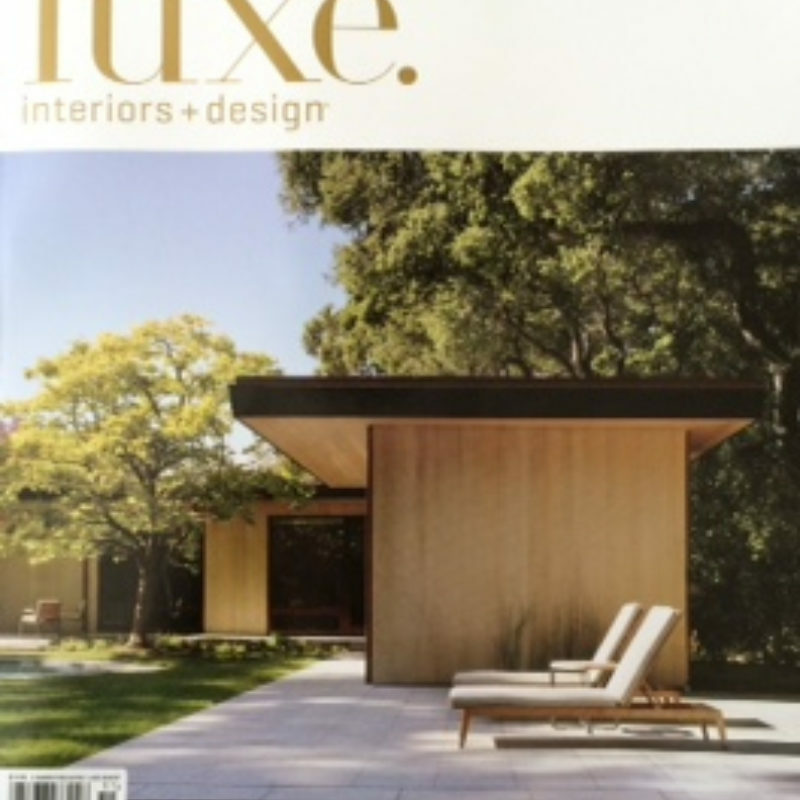 Read more about the project in the Winter 2015 issue of Luxe here. See more of the portfolio here. 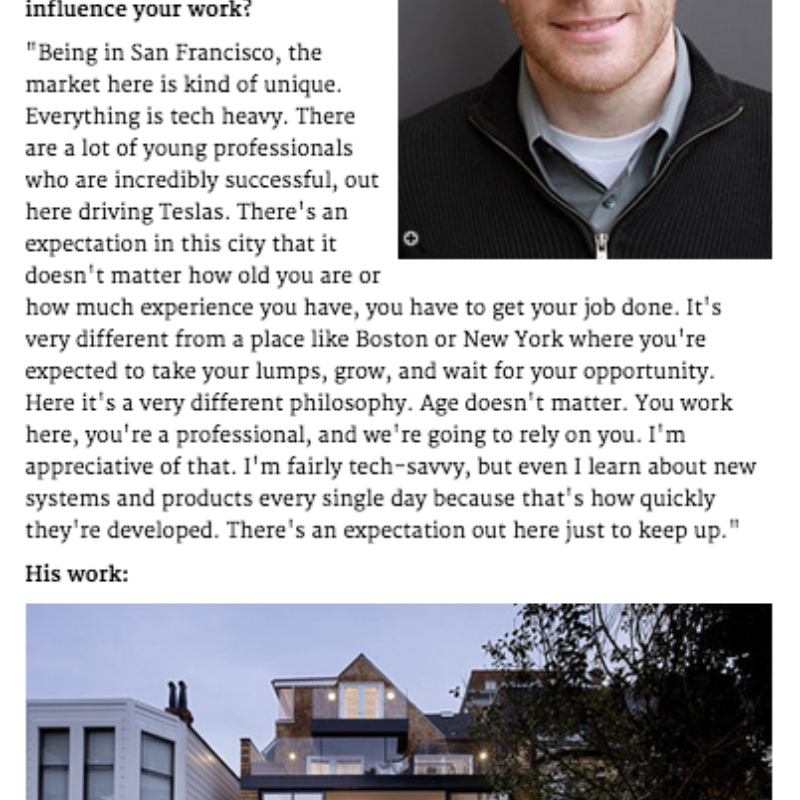 We are so pleased to announce that Curbed has selected our own Dave Swetz as a nominee for their Young Guns Awards. Congratulations Dave, we couldn't be more proud! 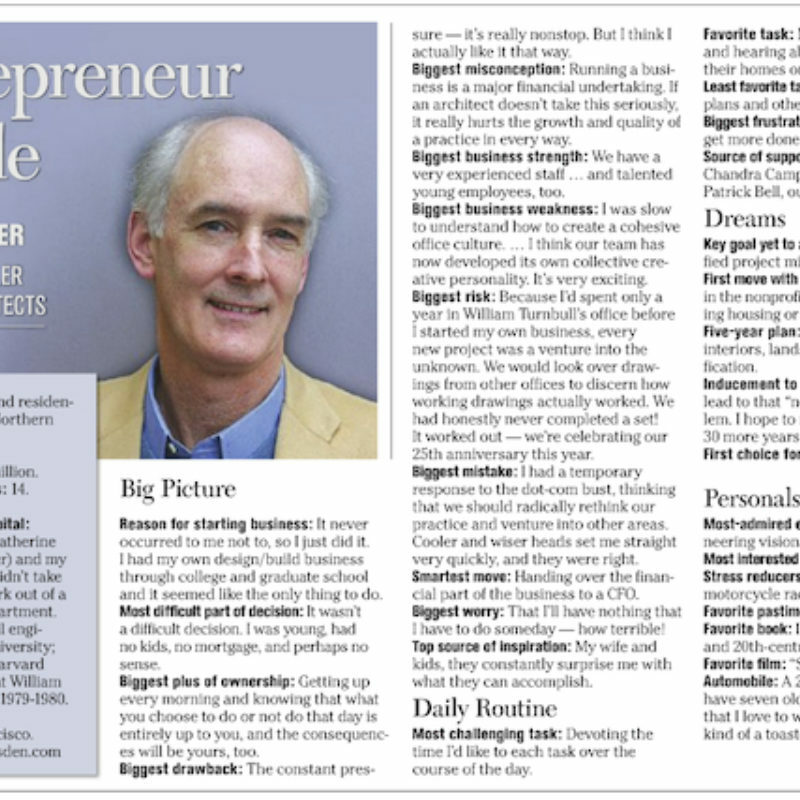 Read what Dave has to say about working in the Bay Area's start-up culture and see some of his best work here. 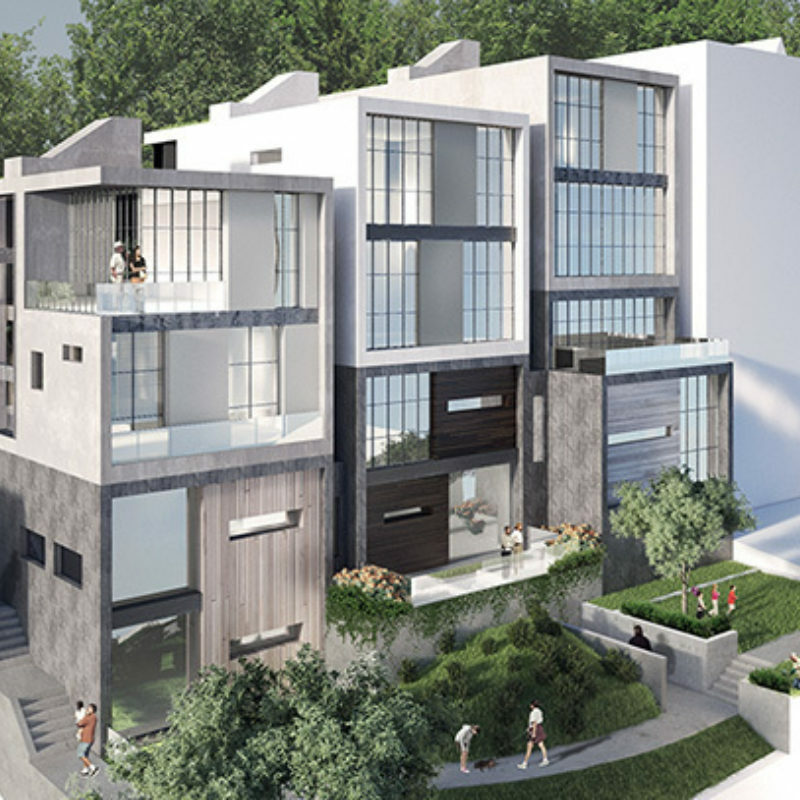 Butler Armsden's 4-unit Telegraph Hill project opposite Coit Tower has secured approval by the Planning Commission in a 5-2 vote with both remarkable support from the Hill residents and vehement opposition by the Telegraph Hill Dwellers Association. CURBED San Francisco details the debate here. 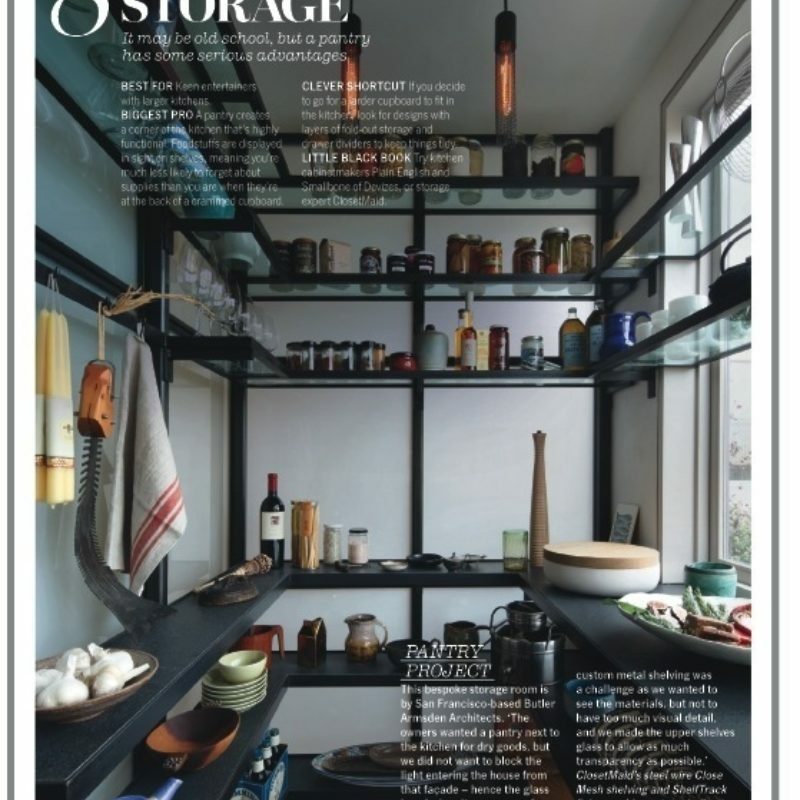 Our favorite UK publication, LivingEtc., featured the custom pantry we designed for our client's SF William Wurster renovation in their August 2014 issue. 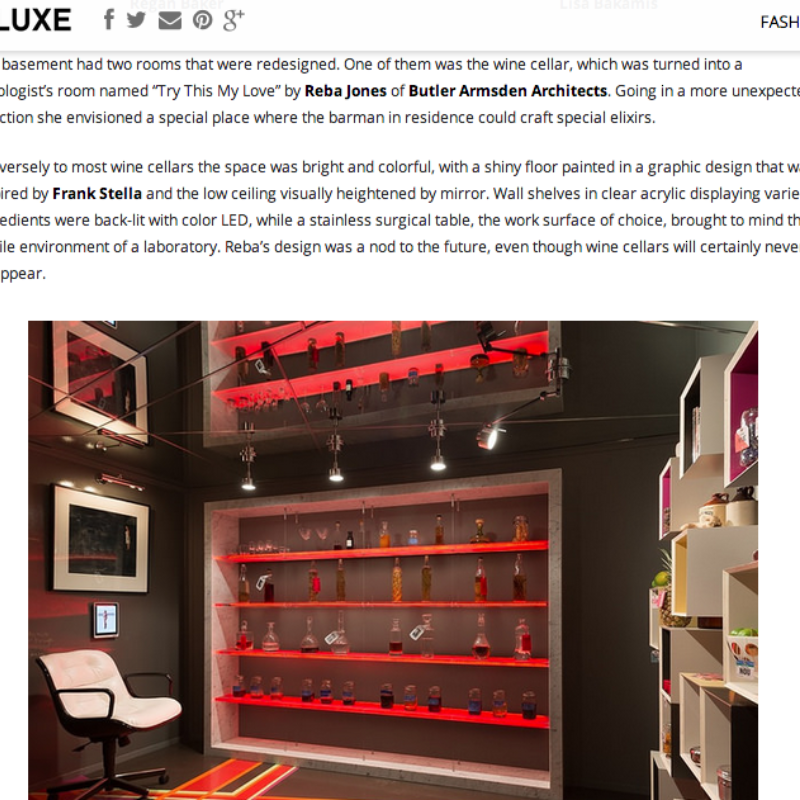 Thanks to Claudia Juestel and SF Luxe for the coverage! See the entire post here. 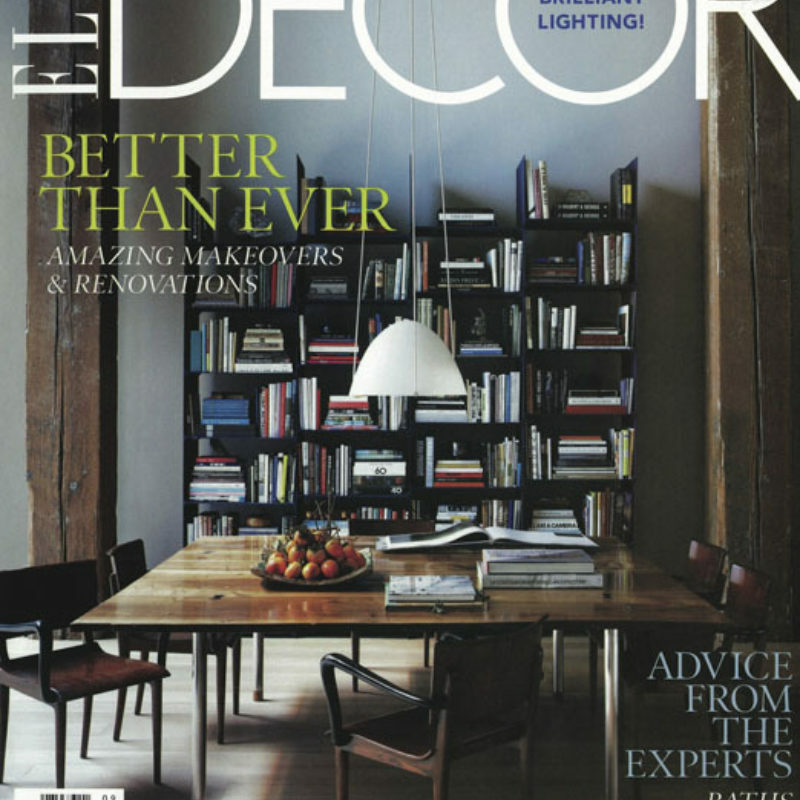 Green Building & Design magazine gets the backstory on Butler Armsden's most recent LEED - Platinum residence. 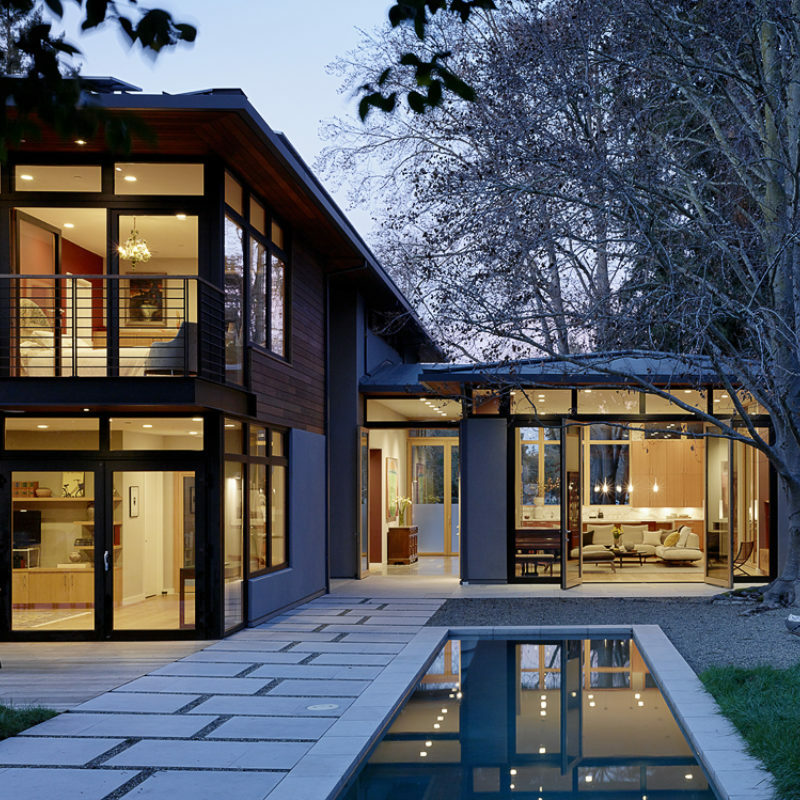 See more of this innovative Menlo Park project. 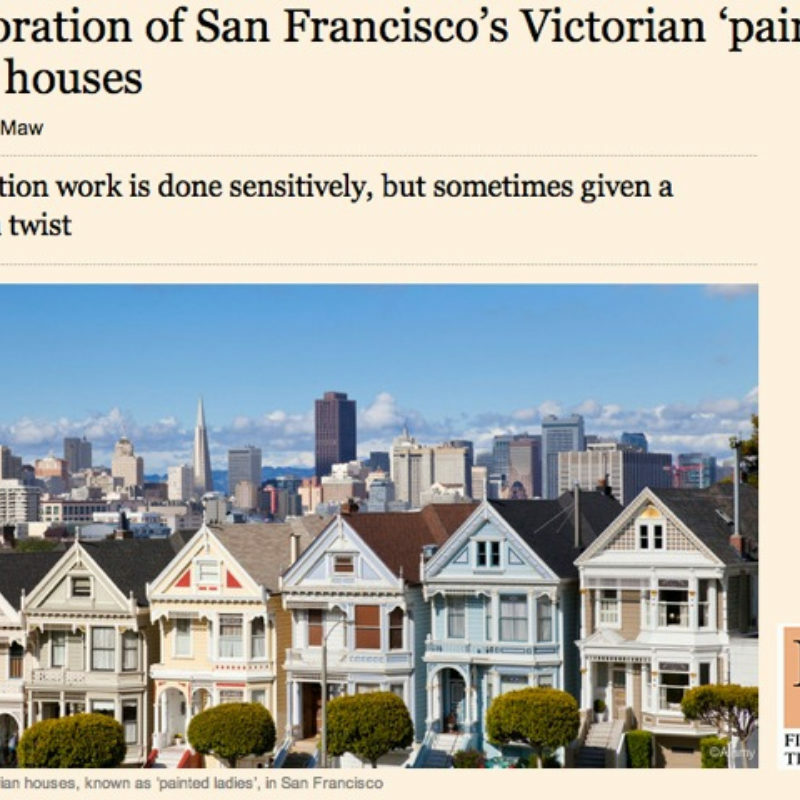 The Financial Times profiles one of Butler Armsden's projects, a historic Painted Lady on Alamo Square, in its piece on Victorian architecture in San Francisco. Read the entire article here. 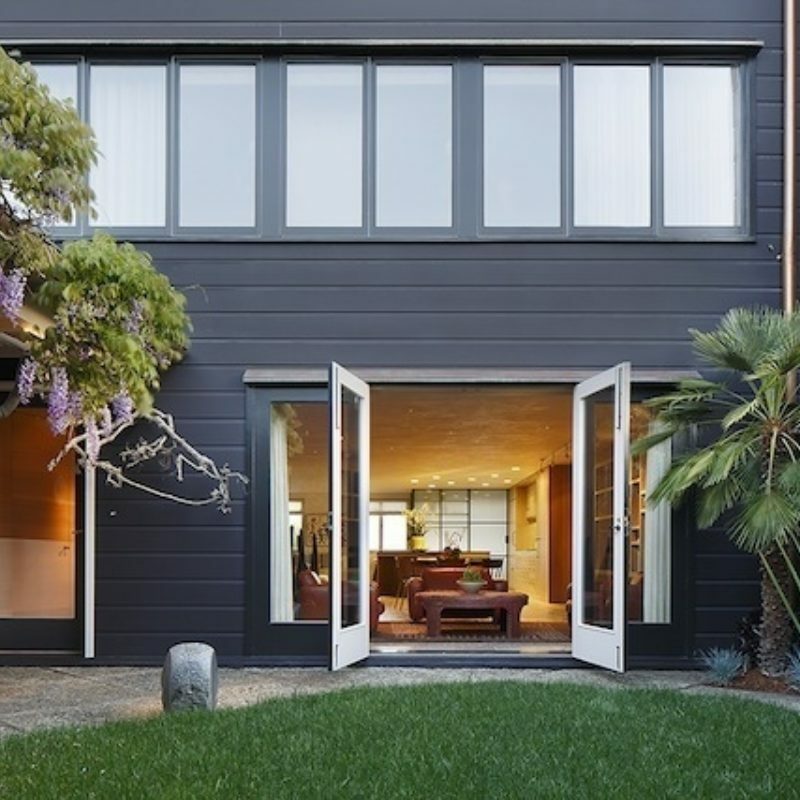 Thanks to Vanessa Brunner at Houzz for her great piece on Butler Armsden's recent renovation of a 1939 William Wurster house in Pacific Heights. Read the article and take the tour here. 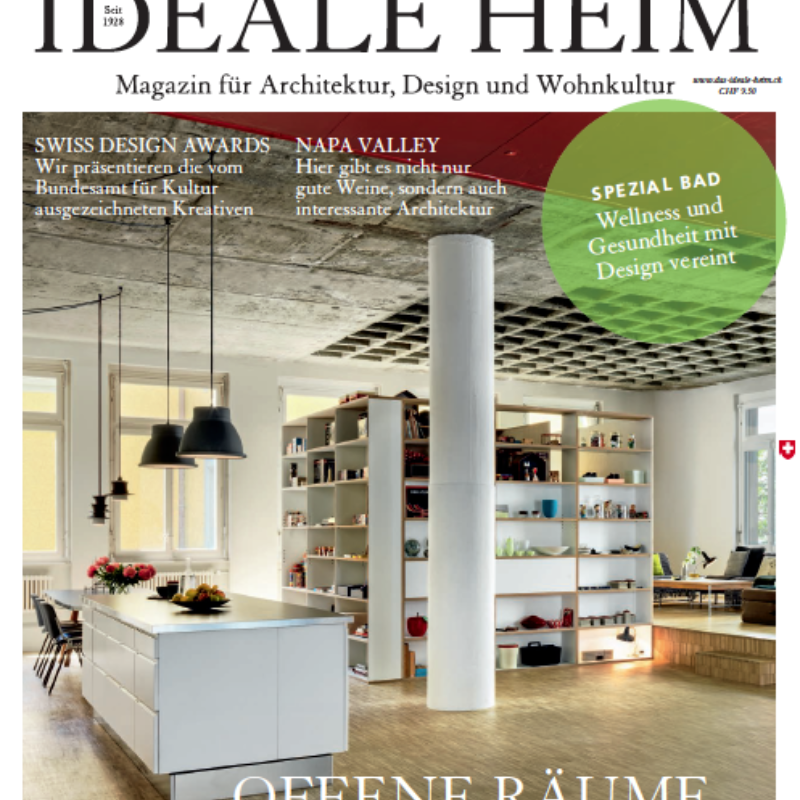 Swiss magazine Das Ideal Heim magazine featured our St. Helena Retreat in their September issue! See more here. 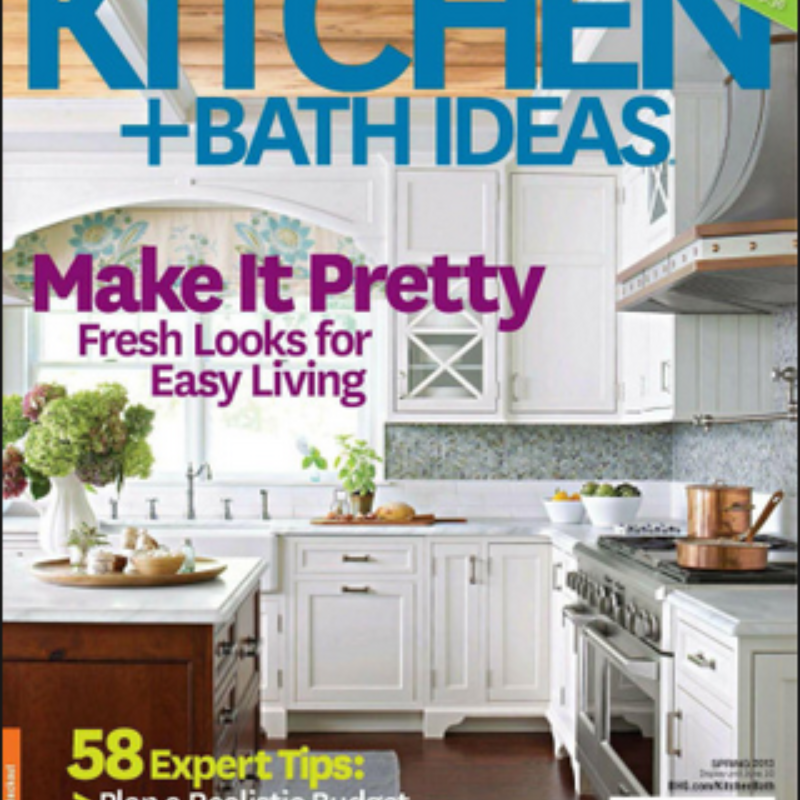 Kitchen and Bath Ideas profiled the kitchen of Butler Armsden's Carriage House project in their Spring 2013 issue. See the entire article here. Lewis Butler's own contemporary cabin on a Yolo County farm is featured in the Financial Times article "Outbreak of Cabin Fever" by Victoria Maw. 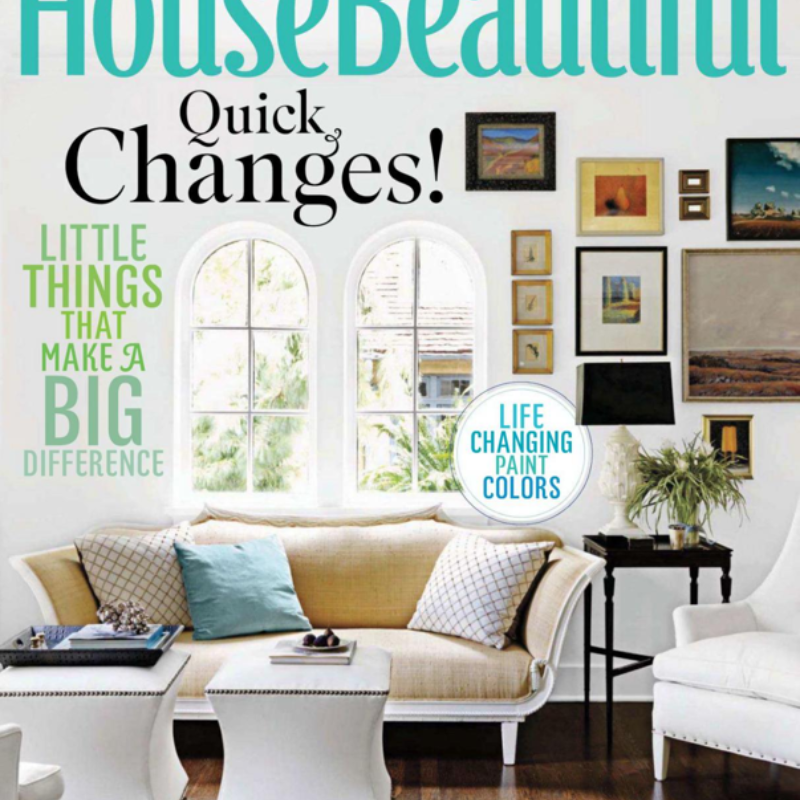 The guest bath in a Pacific Heights carriage house was chosen as the Bath of the Month for the June issue of House Beautiful. Careful space planning and creative use of striped tiling allows the bath to feel larger than its petite 37 square footage suggests. Designed in collaboration with Angela Free Interior Design. View more of the carriage house here. 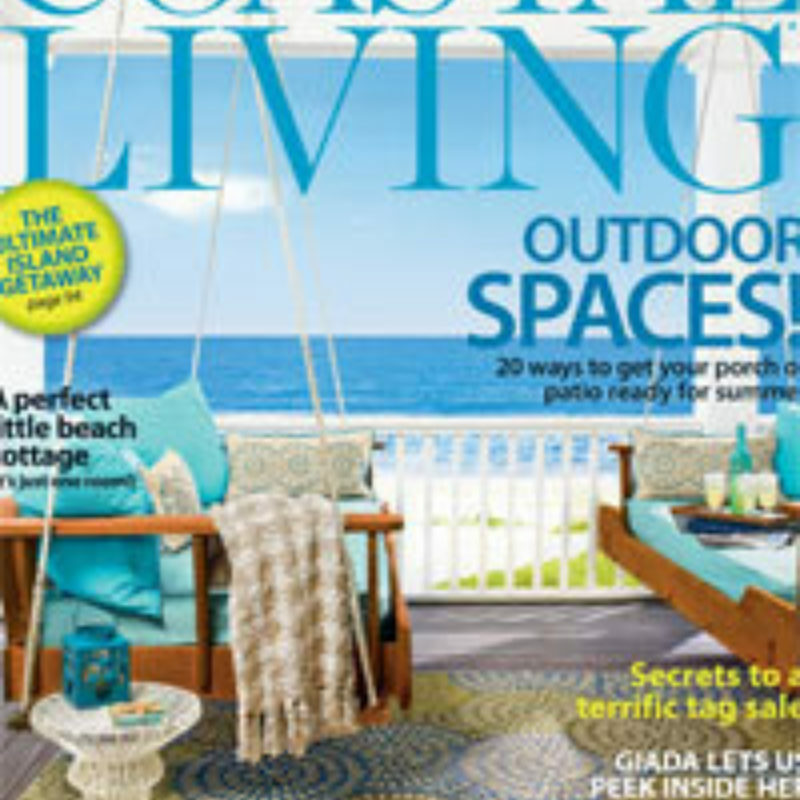 The April issue of Coastal Living features the Stinson Beach house that Lewis Butler designed as a retreat for three generations of one San Francisco family. David Hanson writes, "the house proves there can be serious style in simplicity...the uncluttered design and decor allows [the family] to enjoy life's simple pleasures." 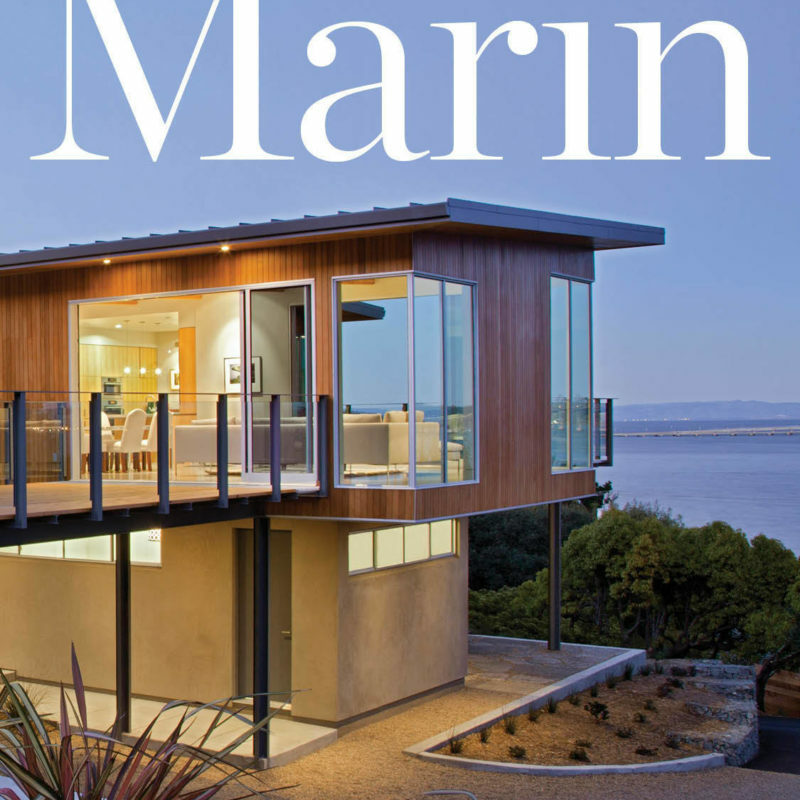 Marin Magazine features the award-winning Tiburon Bay House as its cover story for the April issue. 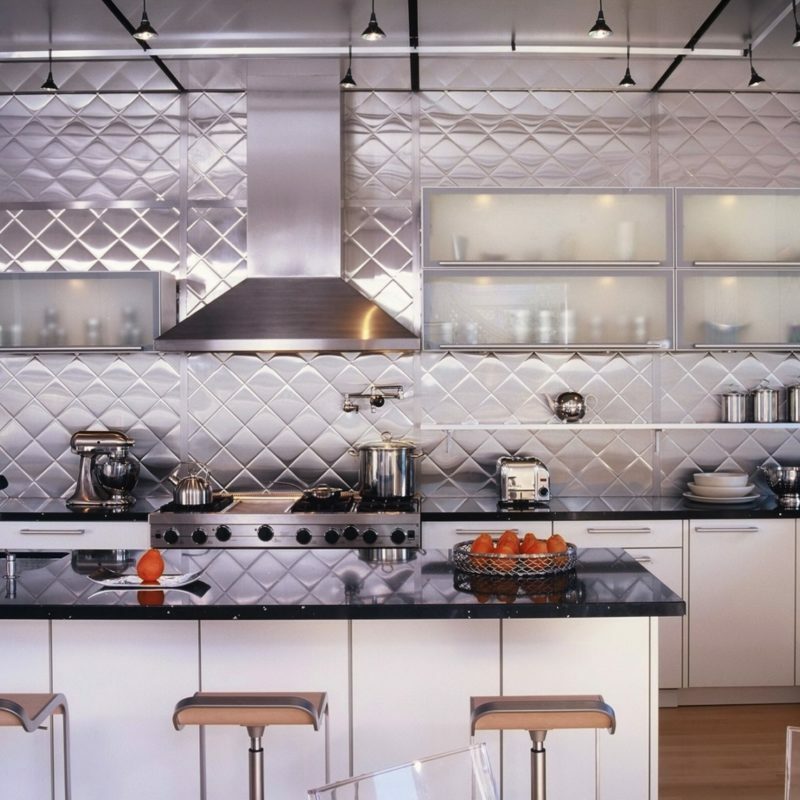 The story, "Modern Style Goes Platinum" showcases the LEED-Platinum certified house. It is a blend of high-design and high-sustainability for a Marin family committed to lessening their impact on the environment. 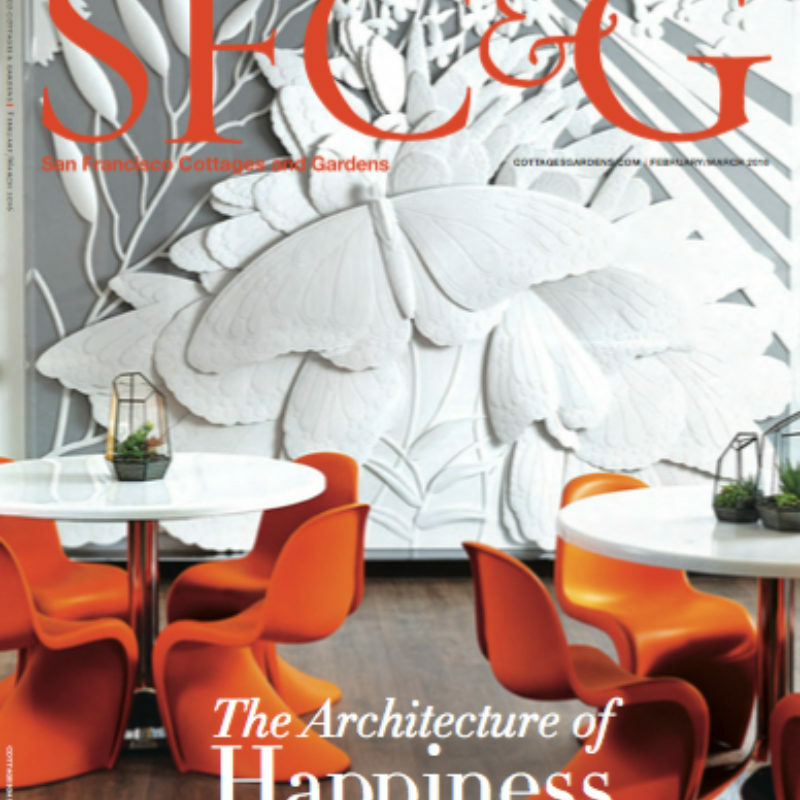 We couldn't have said it better ourselves...as Architectural Digest writes in the November 2011 issue: "Exquisite works of art and design achieve striking equilibrium in a Bay Area residence by interior decorator Steven Volpe and architect Lewis Butler." BAA managed the complete renovation of the former spec house on a one acre lot for a tech mogul and his family. No expense was spared to turn it into a gracious and livable space that houses priceless works of art, children and golden retrievers with equal ease. Read the article here. See more of the project here. The November issue of Dwell contained a special supplement highlighted their favorite Bay Area designers and our very own Reba Jones, Senior Associate, was included among them. The September issue of California Home + Design features an interview with the homeowners of this LEED Platinum house in Tiburon designed by Butler Armsden. The design of the home was driven by the clients' desire for the most functional and energy efficient space possible on this carefully chosen site. Third time is extra charming for coverage of the home of Trevor and Alexis Traina previously featured in Vogue and C Magazine. Butler Armsden oversaw the renovation of this historic Pacific Heights residence which included the design of underground gallery and entertainment spaces. 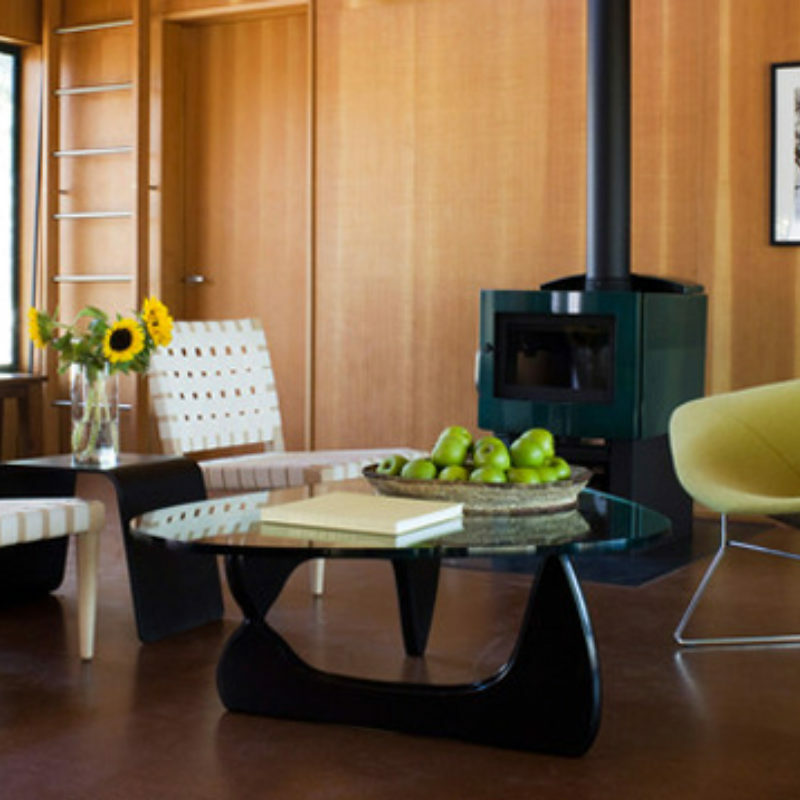 The folks at Remodelista pay the award-winning Yolo County Cabin a visit. You can view more of this project here. 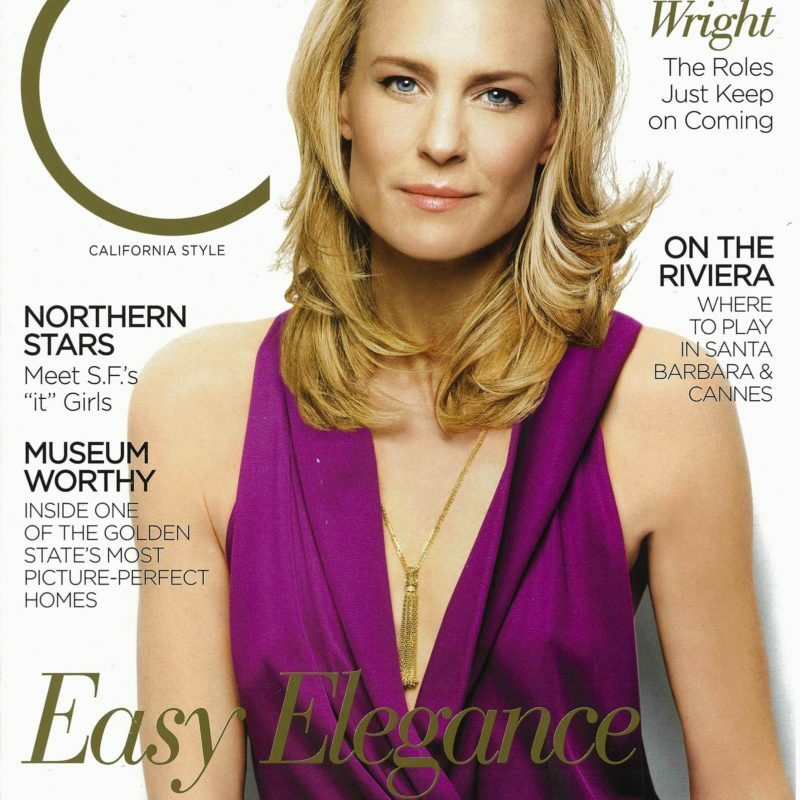 C Magazine visits the home of Trevor and Alexis Traina in their May issue. Butler Armsden provided design services for the renovation of their historic home which included installation of a new conservatory, excavation beneath the house for galleries and entertainment spaces, new his and her offices, baths, kitchen as well as finishes throughout the home. Houzz profiles Lewis Butler and his modern cabin design for his family's farm near Winters, California. 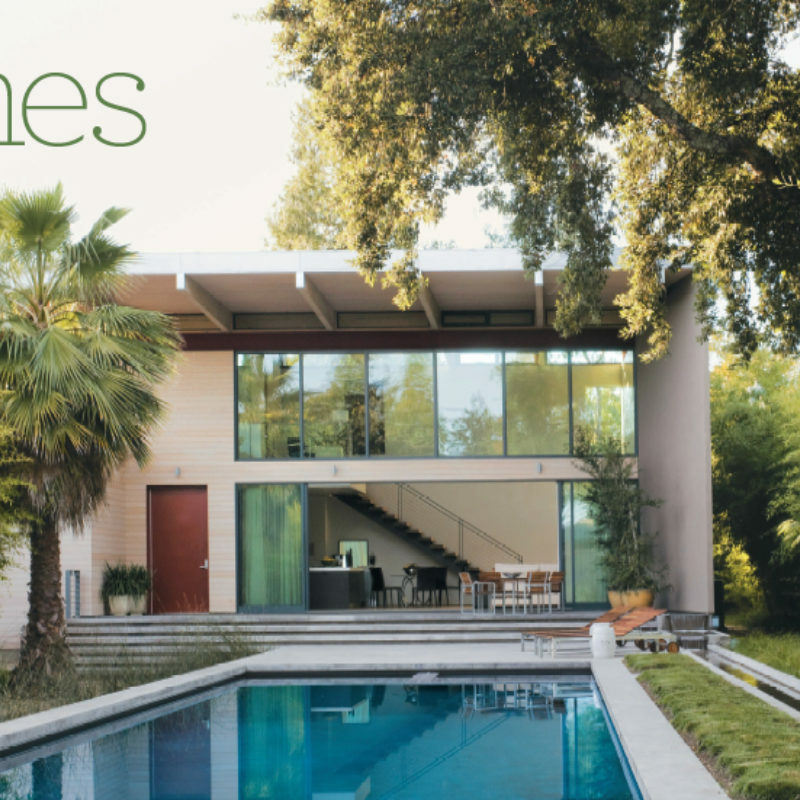 Zahid Sardar profiles this modern home in the Napa Valley along with its owners, Tom and Theresa Scripps, and architect Lewis Butler. Mary Jo Bowling of California Home + Design magazine interviews our clients and explores our full-house renovation for this family of five. Combining a Swedish-heritage aesthetic with classic San Francisco architecture Butler Armsden created a fresh, contemporary family home in this historic house in the avenues. 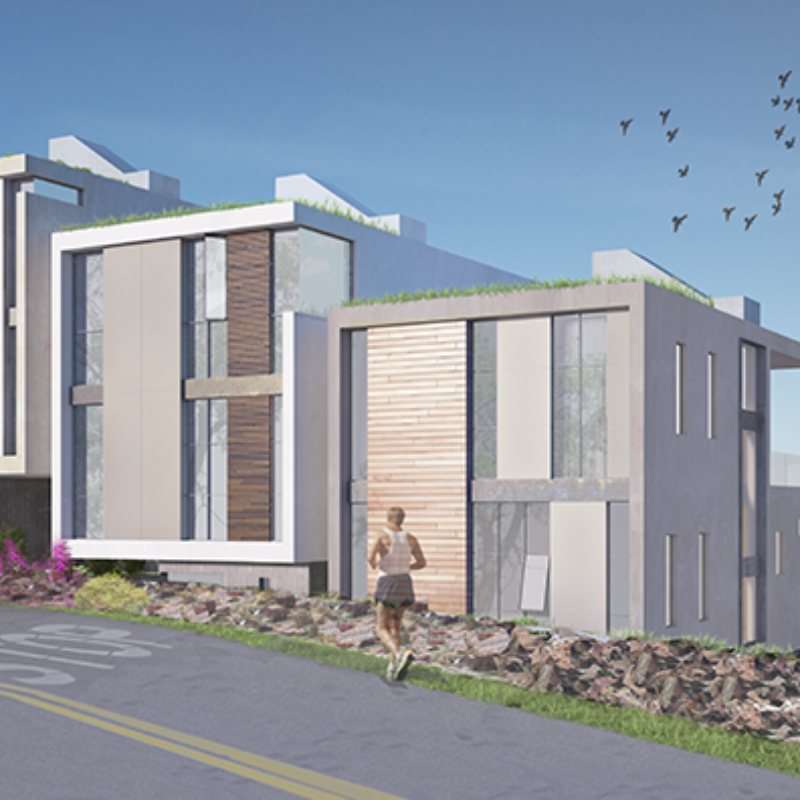 Butler Armsden Architects wins in the Residential Architecture Under 3,000 s.f. 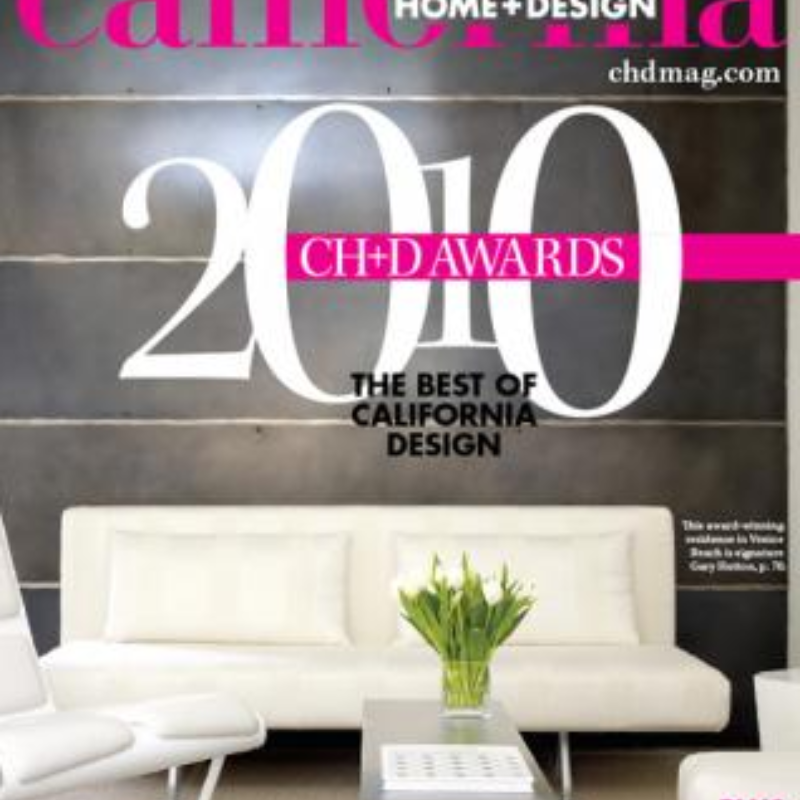 Category and is featured in the February/March 2010 issue of California Home and Design. Yolo County Cabin was built for architect Lewis Butler’s parents in the middle of California’s agricultural heartland. 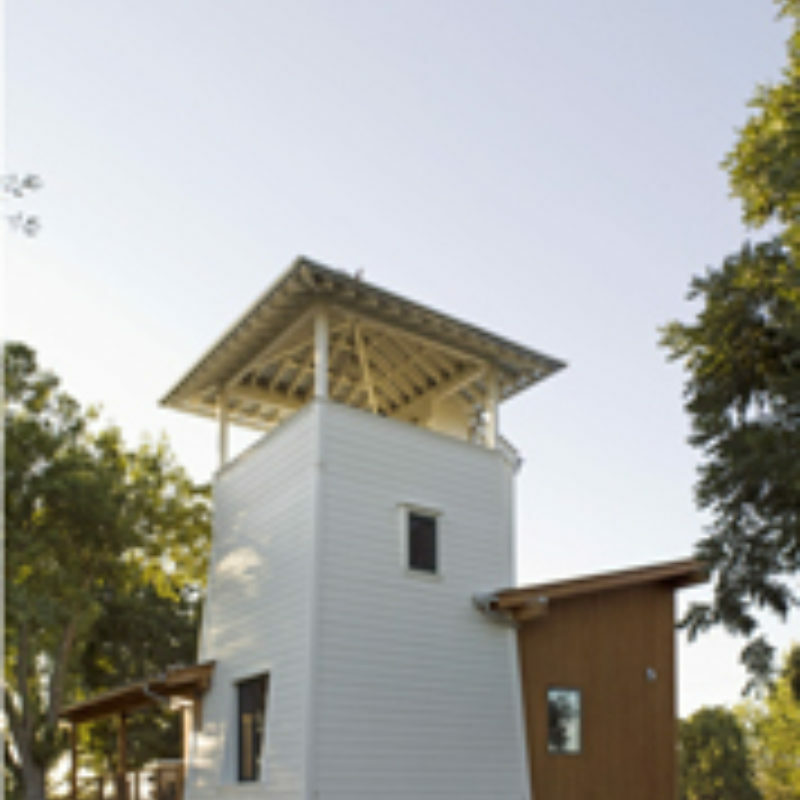 A modern take on agricultural vernacular architecture combines the traditional water tower and yard shed forms creating a modern farmhouse. Butler Armsden teamed with owners Trevor Traina and Alexis Swanson Traina to design and renovate their historic home. The renovation included installation of a new conservatory, excavation beneath the house for galleries and entertainment spaces, new his and her offices, baths, kitchen as well as finishes throughout the home. 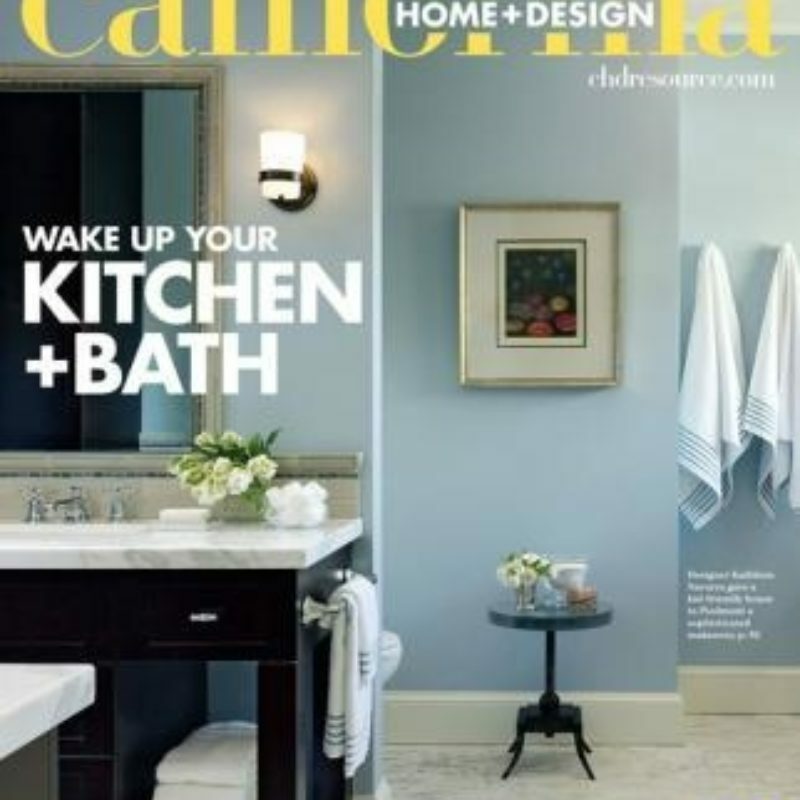 California Home + Design - September 2002 - "High Style"
San Francisco Magazine - November 2002 - "Modernist Times"
Sunset Magazine - February 2003 - "Backsplash Stars"
Sunset Magazine - March 2003 - "Clean and Uncluttered"